The federal Ninth Circuit Court of Appeals handed broadcasters a major win this week in their long-running legal battle with Aereo-clone Film On. A unanimous three-judge panel overturned a lower court ruling, which had held that FilmOn was eligible for the compulsory license under Section 111 of the Copyright Act that allows “cable systems” to retransmit copyrighted programming contained in broadcast signals without needing to get permission from the copyright holders. In overturning that ruling, the circuit court closed an apparent loophole created by the Supreme Court in its 2014 ruling against Aereo, in which it held that Aereo was infringing broadcasters’ public performance right by retransmitting broadcast signals over the internet. In addressing whether Aereo was “transmitting” broadcast signals as defined in the statute, Justice Stephen Breyer reasoned that Aereo was acting, for all intents and purposes, like a cable system, which unambiguously “transmits” a signal, and therefore Aereo required a license under the statute’s Transmit Clause. 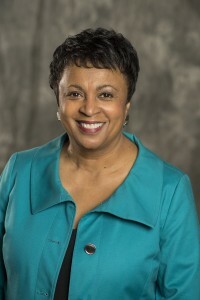 The Librarian of Congress is not generally considered a controversial post within the government. There have only been 13 of them in the Library’s 216-year history, which tells you something about the urgency with which Congress has historically regarded the appointment. has some policy-making authority, exercised most prominently in recent decades through its oversight of the U.S. Copyright Office, which is a division of the Library. 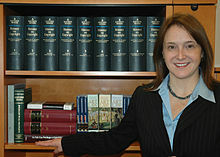 Under Section 1201 of the Digital Millennium Copyright Act the Copyright Office must conduct a triennial rulemaking proceeding to determine whether certain types of copyrighted works protected by access control technologies (“technical protection measures”), should be exempted from the DMCA’s ban on circumventing such measures in certain circumstances.